The XL Print NERO PC Slim Line Black on White Keyboard from LogicKeyboards has alphabets printed in black on white keys. This large print keyboard has been designed for individuals who suffer from visual impairments or just have a hard time reading the existing commands on their keyboards. 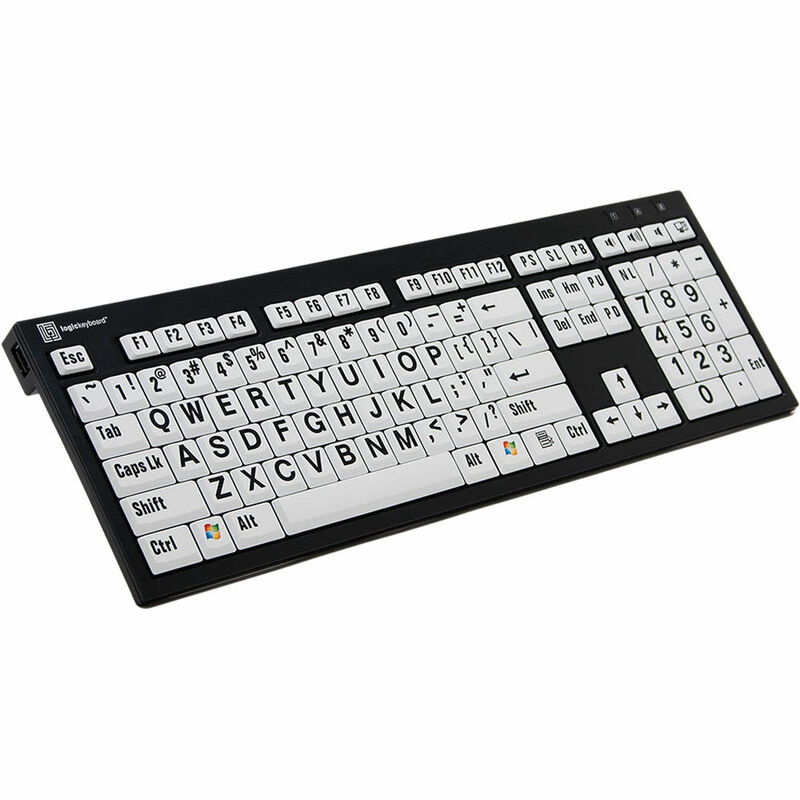 The custom large print makes controlling your keyboard very fast and simple. Box Dimensions (LxWxH) 18.7 x 7.7 x 1.4"
This is USB wired keyboard. The cable length is 5 feet (1.5 m).